One of the peculiar things I liked to eat as a child was dietary supplements that masqueraded as candy: think citrus-flavored vitamin C tablets and calcium supplements in gummy bear form. I knew, to be sure, that they weren’t meant to be consumed like Skittles, but the kid-friendly format made them easier for me to swallow. Those tablets and gummy bears are still fun to look at when I’m passing between aisles at the grocery store (and no judgment at all if you continue to take them), but as an adult, I’m looking for different things to complement my diet. I like to drink calcium-fortified orange juice, for example, so my vitamin C and calcium quotas are pretty much fulfilled. On the other hand, I’m lactose-intolerant, so a lot of the probiotic benefits I would get from eating yogurt for breakfast aren’t available to me. Care/of offers an alternative way to get the nutrients I lack by selling personalized dietary supplements. I simply choose the specific supplements I want, and each month the company mails me thirty packets containing the pills I’ve requested. If you’ve ever looked at a wall of vitamin bottles, you know how overwhelming and impersonal the experience can be. Care/of’s website mediates that problem: it breaks supplements down by category (vitamins, minerals, herbs, probiotics, and specialty) or by function (everything from more energy to stronger immunity to a healthy heart) so it’s a lot easier to find what you’re looking for. Care/of doesn’t purport to replace the services of a healthcare professional, and it shouldn’t. If I’ve been having problems with sleep or indigestion, I’m still going to visit my doctor rather than just pop a couple pills. But in cases where allergies or dietary restrictions, like my lactose-intolerance, make it difficult to get certain nutrients, it’s a helpful solution. 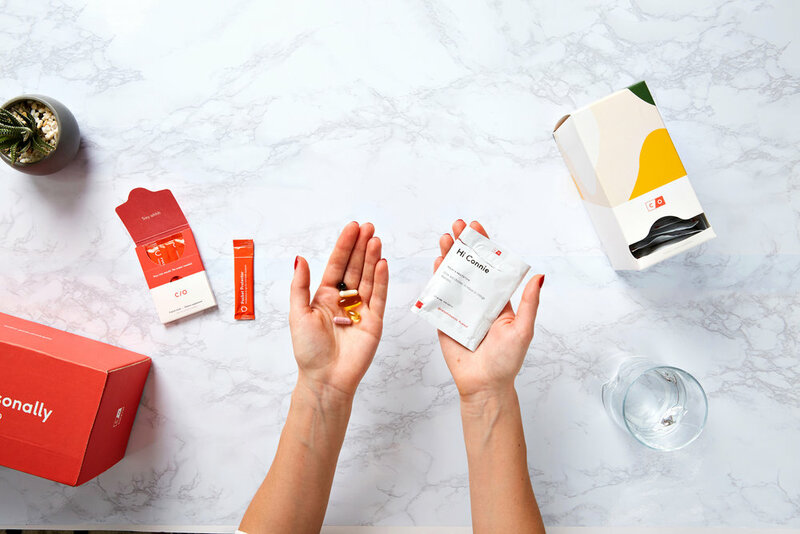 The biggest selling point Care/of has going for it might be how it’s transformed the typically mundane task of buying vitamins into a more intuitive, engaging experience. The packaging’s cute, and frankly, the interface is bright and friendly enough that I actually enjoy using it. Have I outgrown my inner gummy-bear-loving child? Maybe not, but at least now I can get all the nutrients I need.